Usually when I review a book it’s for a motorcycle magazine, but when the opportunity came up to review this bicycle travel book I leapt at the chance. I’m a great fan of Dervla Murphy and Josie Dew, so I was looking forward to reading Desert Snow with eager anticipation, though I had concerns. Africa enthrals me, but it’s very hard to do justice to this amazing continent with the written word. Helen Lloyd did not disappoint and I quickly came to like her. In spite of her easy-going nature she writes with a fast pace that had me itching to turn every page to see what happened next. A sparkly, can-do personality bounces out at the reader and there’s never even a hint of a tedious I-did-this-I-did-that style. Desert Snow is spiced with everything that to me is what a long overlanding journey should be about. She weaves the challenges, personal insight, fear, moments of sheer joy and the road conditions in with facts about the countries, and the connections she makes with people. 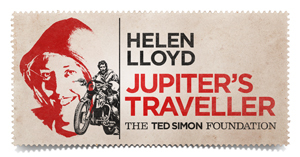 Helen Lloyd has the ability to treat people with respect from the outset and her vivid descriptions of being at the mercy of the extremes of African weather never become tedious; more a fascinating part of the reader’s learning curve. She writes about the effect of Chinese whispers on a traveller. Which stories do you believe? In the end she heads for each situation with enthusiasm and the full awareness that you have to be very unlucky to be in the wrong place, at the wrong time, doing the wrong thing. She plans her way with common sense and instinct, but then there is always the unexpected and she has plenty of those moments! If she were an arrogant person she could well have found herself in trouble. She puts the advantages of bicycle travel across with ease and without snobbery. While she very much prefers travel by bicycle and does write about travellers using other types of wheels, she never downgrades their adventures. Helen Lloyd has a thoroughly refreshing style and the ability to draw the reader into the situations with graphic descriptions which almost have you able to see, smell and hear a situation. This is real talent. I think that this book should be added to the reading list of everyone who has an interest in travel. 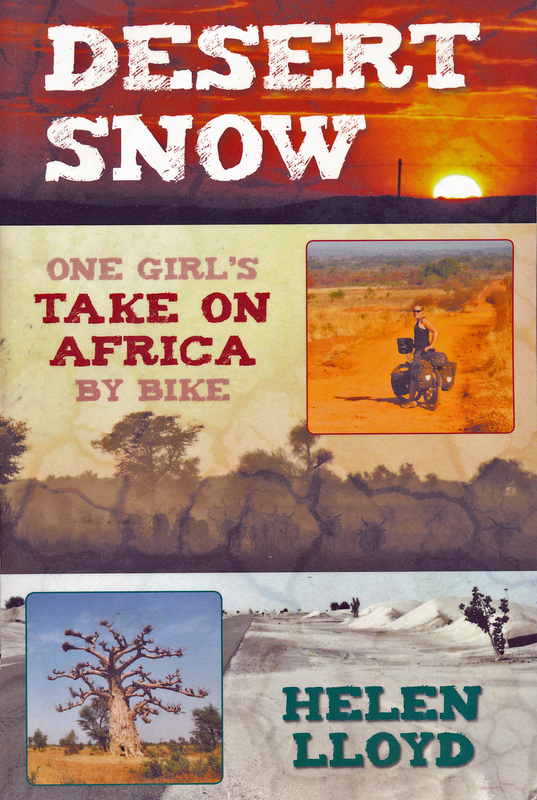 Anyone planning to travel the length of Africa would do very well to read Desert Snow first. What a cracking weekend that was!